Did you know a brand new office fitout has the potential to raise employee satisfaction? But fitting out your office to make better use of the space can be dangerous to your budget if you aren’t prepared for what lies ahead. Here are a few deadly mistakes to avoid when planning for office fitouts in Perth. Many business owners think that they are saving money by doing it all on their own. But, they aren’t aware that they are leaving themselves open to expensive disasters. Hiring complete commercial Perth office fitouts helps you to co-ordinate the whole fitout process. They keep a number of factors such as health and safety, effective and attractive design, and making the best possible use of the space, and create a space that best suits your business. A lot of planning and work is needed to create a good quality office design. It helps you to iron out any potential issues that may pop up throughout the fitout process. Right planning allows you to avoid ad-hoc work that looks bad or is dysfunctional. When it comes to fitting out office, everything needs to be laid out logically so that each room is easy to get to and comfortable to work in. This is the reason why you shouldn’t overlook the layout of your office. Artificial lighting should be distributed evenly through the office to make sure your office gets the right amount of light. Natural light should also be taken advantage of wherever possible by effectively utilising windows to filter natural light through the office. Don’t ever try to replicate an office design that you came across on pinterest as it won’t leave a poignant impression on your clients and customers. Replicating other office designs is the primary reason why facades fail to work wonders for businesses when it comes to office fit out design. While executing your dream work environment there is absolutely no need to blow the lid off your budget. One of the biggest priorities of any business owner is effectively budgeting for an office fitout. Don’t improvise your budget because it could wind up costing you thousands more than you bargained for. So, hire the right professionals who provide expert advice on design and fit out solutions that are the most cost-efficient. Before setting any fit out design, carefully consider your long-term prospects and plans. So, get the advice on experts to fit out a flexible space that’s built for any future expansion or corporate ambitions. 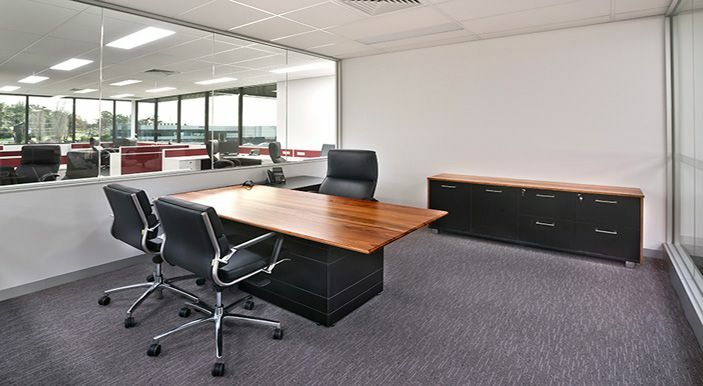 Visit http://www.perthofficefitout.com.au/ for more information about office fitouts in Perth WA. Top 4 Reasons Why Office Fitouts in Perth is Essential for Your Business Growth?